It is added to the server when deployed. 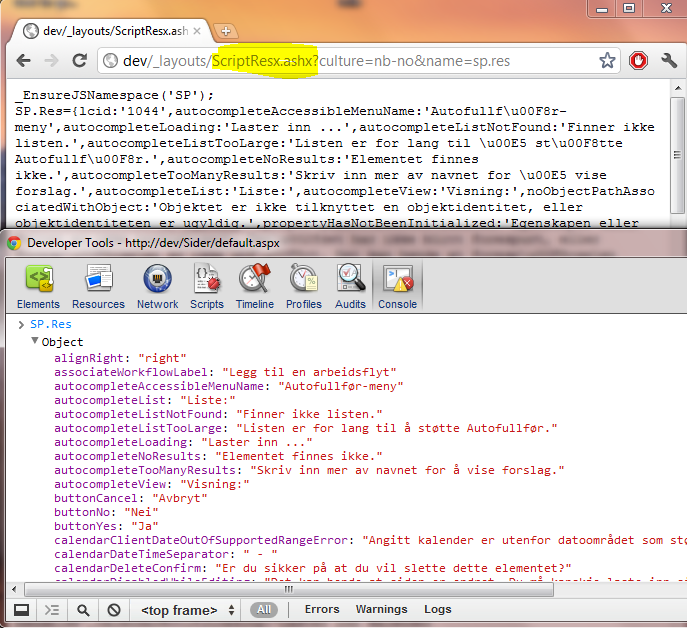 See a good introduction to WebResource.axd and ScriptResource.axd by Brian Chavez. That was new. Try to google it. You won’t find much results. 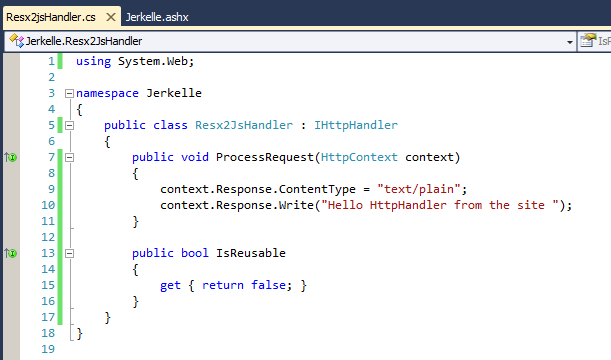 Wait a sec, so there is actually the localization httphandler in SharePoint which I wanted to do? This will be loaded into “Res”. 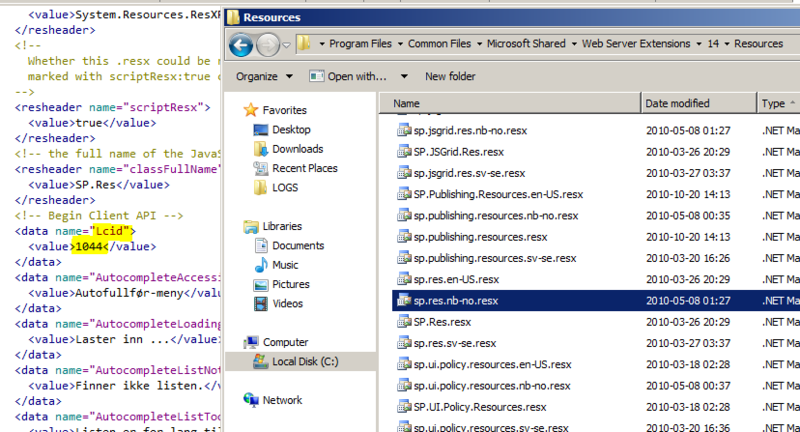 Create a SharePoint empty project. 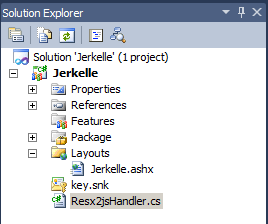 I call it Jerkelle. So now it is time to deploy! 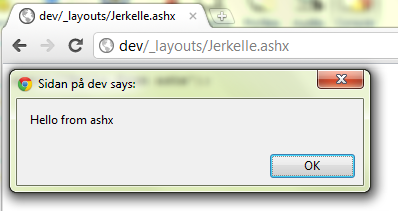 Then when we hit the ashx in the address bar we’ll get the nice message: “Hello HttpHandler from the site”. Isn’t it beautiful? 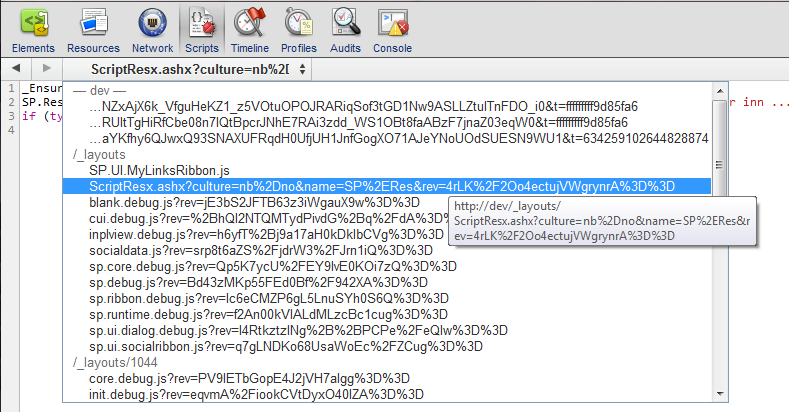 EDIT: Later I discovered ScriptResx.ashx: there is already such an httphandler, with its shortcomings but, it is already implemented.